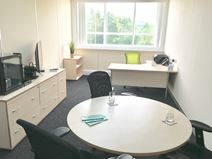 Only three minutes from the picturesque town of Padiham and within very easy reach of the M65 this centre offers modern, spacious, serviced offices that offer tenants with beautiful countryside views through large secondary glazed windows. This business centre in pleasant landscaped surroundings with car park, offers a range of managed offices with 24-hour electronic fob access. There is a large attractive reception and state-of-the-art boardroom. The centre is located close to junction 8 of the M65, to the west of Burnley, and also has good transport links, with Hapton station within easy reach, as well as local bus services serving the area. This centre is located 1 mile from the M65, with excellent access to bus routes. This centre features the highest specification offices available. Luxurious boardrooms and breakout lounge are available for tenants.